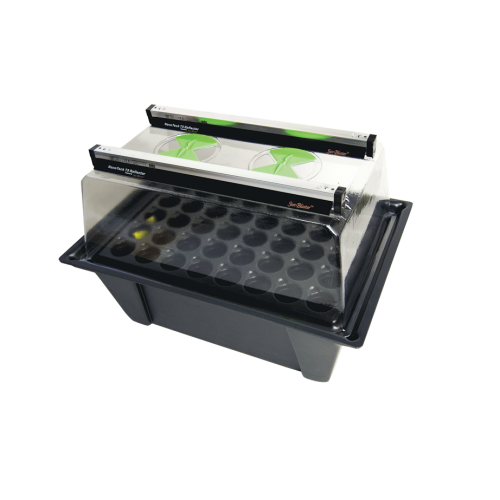 Prepare cuttings in as little as 8 – 12 days with the Aeroponics X-Stream Propagator. When propagating cuttings, the cuttings are safely held in the supplied neoprene discs which suspend the slip over a water supply. Water is sprayed directly onto the roots. 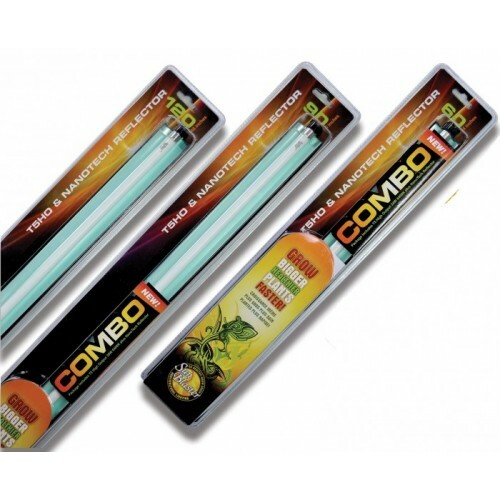 This water with high oxygen content rapidly nurtures the development of a healthy root system. When propagating seedlings the mesh baskets cannot contain soil or coco. Any other growth medium is acceptable,and the seedlings are placed in individual mesh baskets. The water/nutrient mix is sprayed onto the underside of the basket resulting in rapid root development. 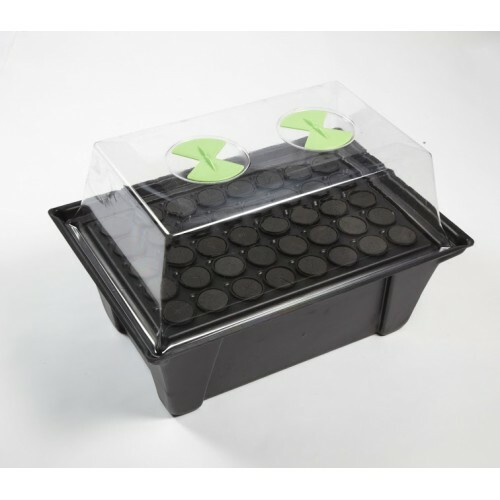 Large vents in plastic cover allow for temperature and humidity control and grow lights can be used if required.